Historic Riverton School once was located here. 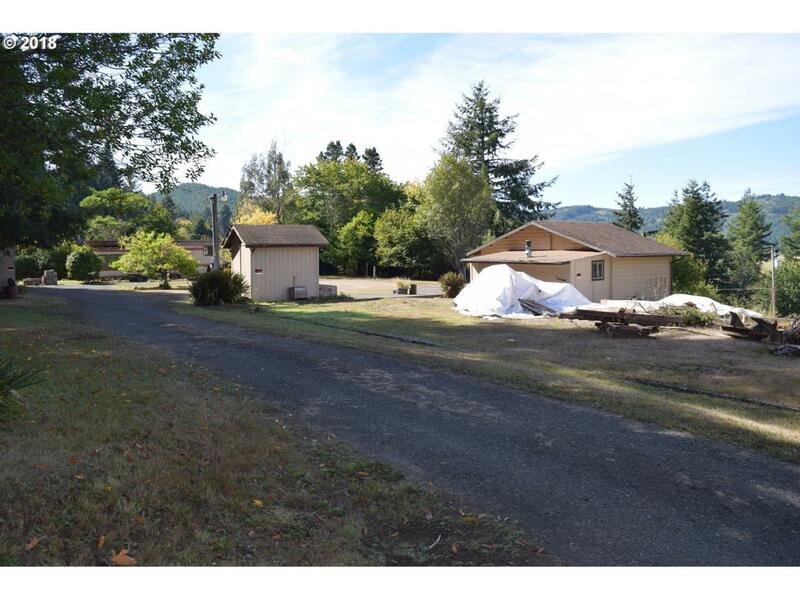 This peaceful setting has 2 tax lots, 2 RV hook ups, a 2 bedroom rustic cabin, large septic tank, good well, mostly flat land and the Coquille River close by. Driveway to house is a public road. This 1.24 acres has many possibilities. Make your appointment today. Cash only.